Fine Natural Emeralds at their best. 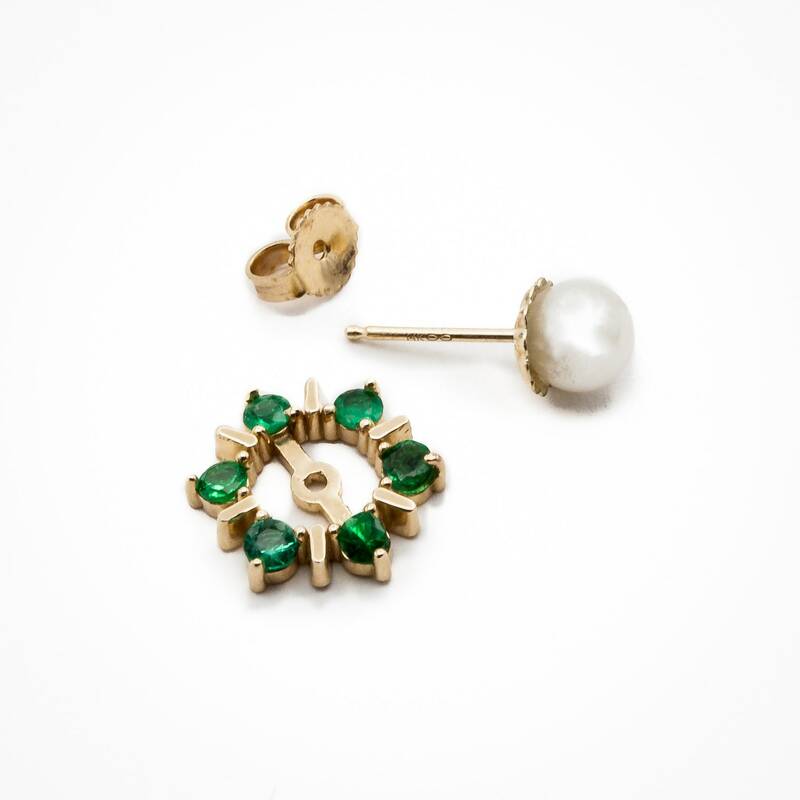 Beautiful 14K Yellow Gold earring jacket accepts any interchangeable stud. 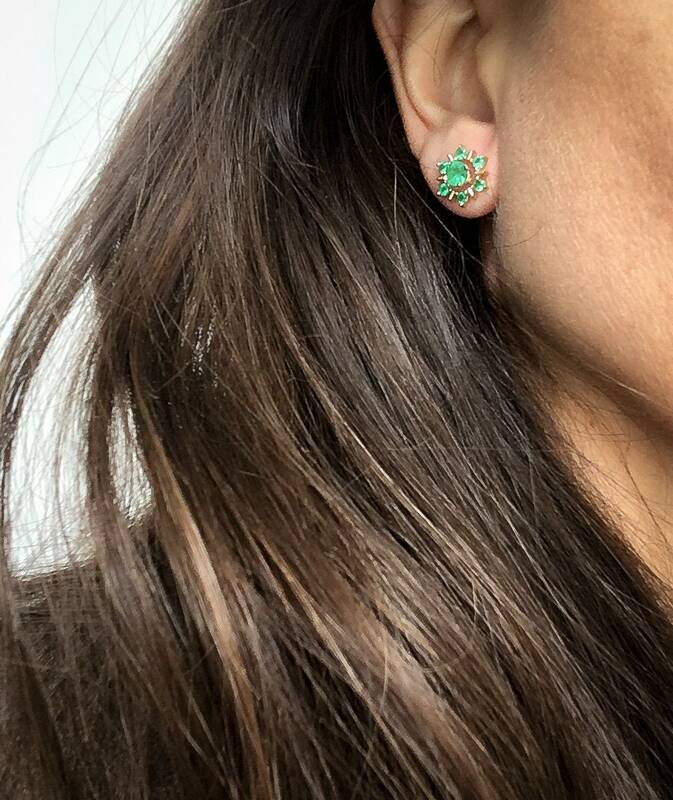 These elegant but understated Emerald earrings actually separate out to become two pieces in 14K yellow gold. The basic earring is an earring jacket. 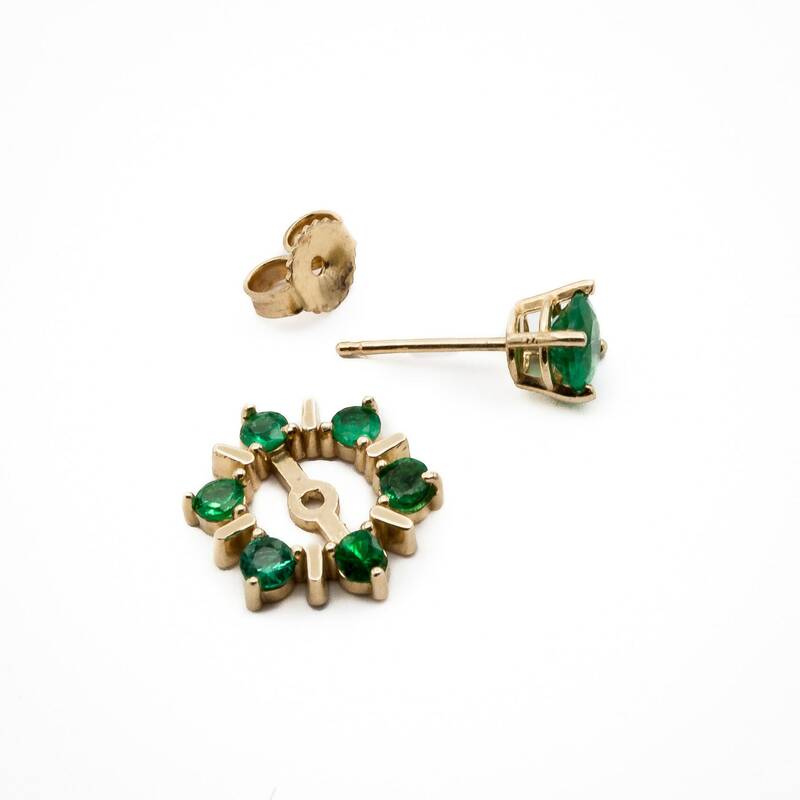 Each piece is set with six fine matched natural round faceted Emeralds of best quality, clarity, color, and cut. Both jackets have a total weight of 57/100 carats. 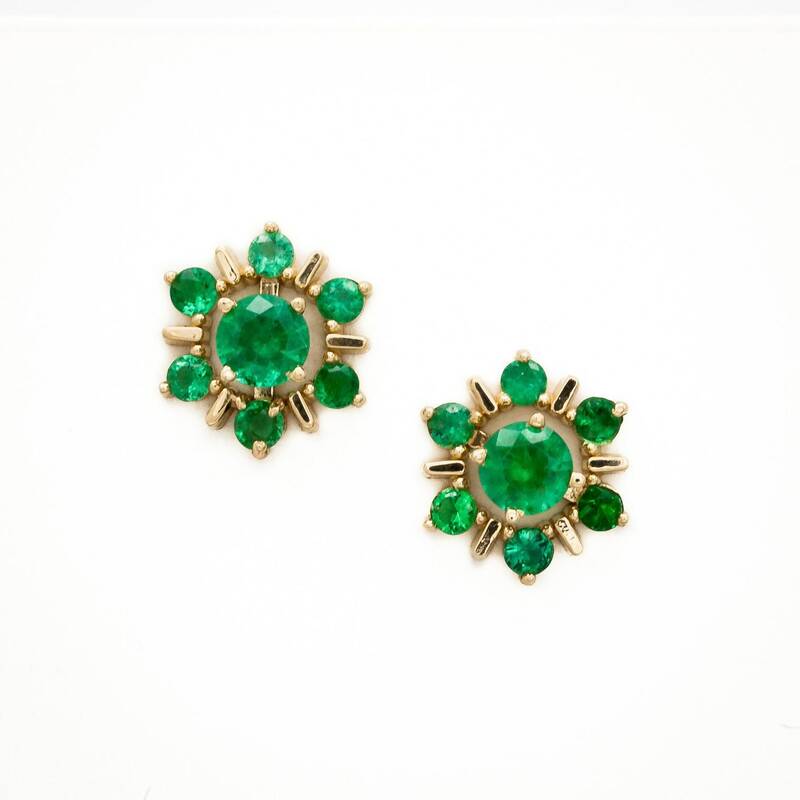 The center of the earring pictured here is a beautiful Emerald stud of the highest quality and the richest green color. The total weight of the two perfectly matched natural round faceted Emeralds is 71/100 carat. 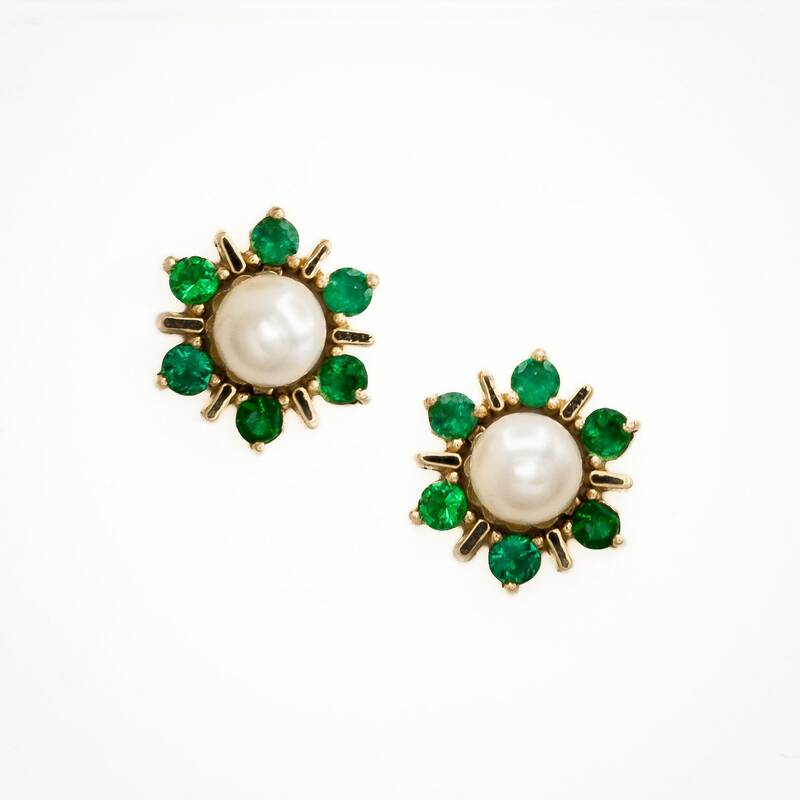 We are also offering a pearl stud option which fits to perfection in the center. This pearl is the finest quality Saltwater Akoya Cultured Japanese Pearl which is free of surface irregularities and perfectly spherical. We would be happy to sell you the jacket alone, since you may have a beautiful pair of studs in your collection that you wish to use. This jacket accepts up to a 7mm round center stud. Free insured USPS priority delivery included!